You Can't Go Home Again! 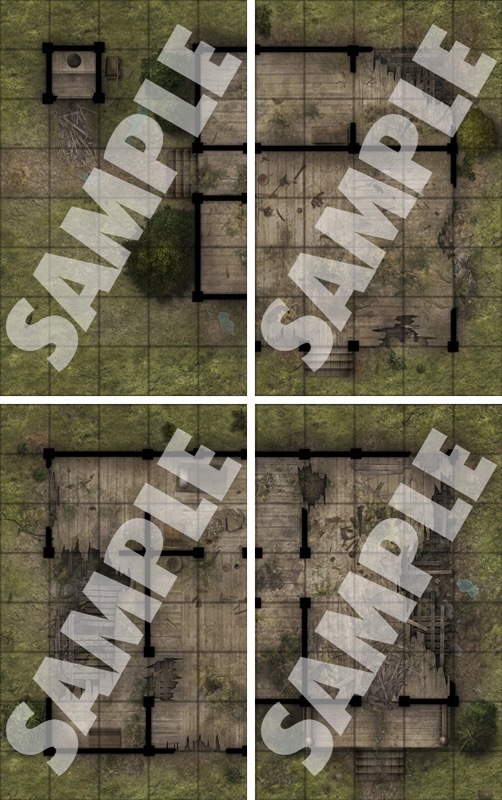 Game Masters shouldn't waste their time sketching maps whenever characters decide to visit an abandoned hamlet. 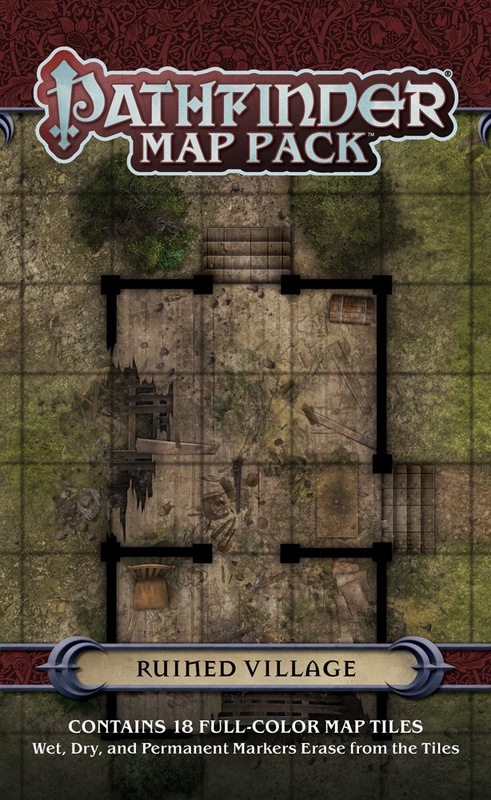 With Pathfinder Map Pack: Ruined Village, you'll always be ready to take your players into the too-quiet walls of former residences—and face the horrors within! 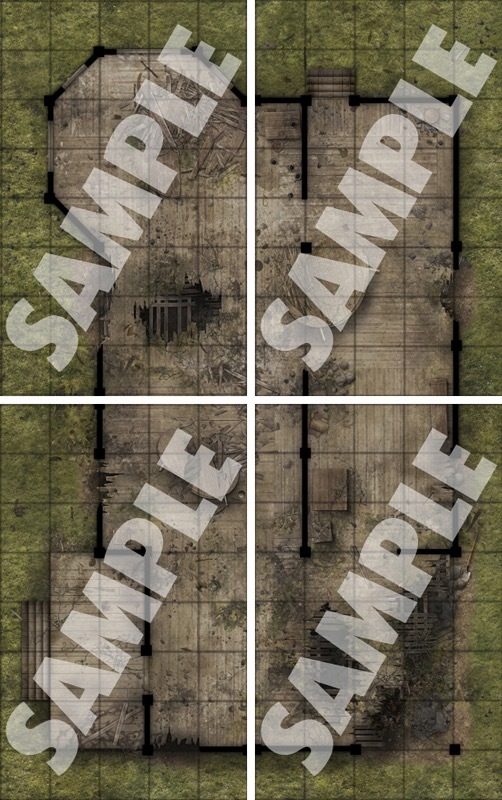 I’ve used the Ruined Village Map Pack in a couple of scenarios now. 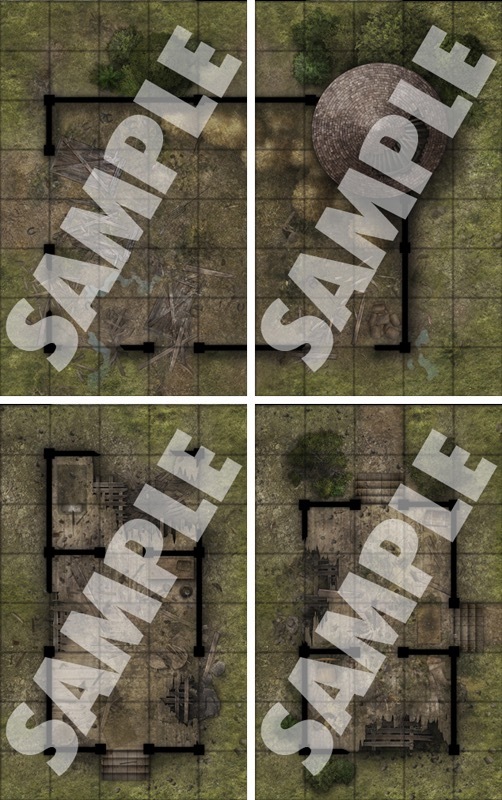 I think it offers a nice array of detailed locations that all fit on the theme of an abandoned village. 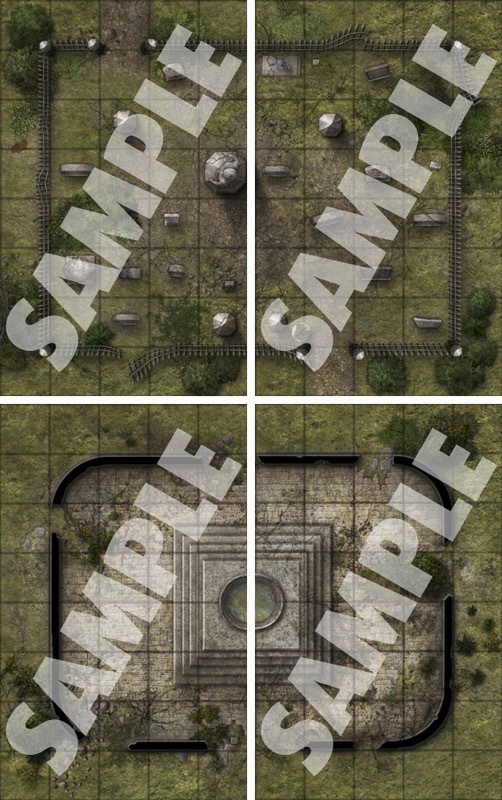 There’s a nice little cemetery (I’m surprised Paizo hasn’t made flip-mats for graveyards, considering how often adventurers go to them), a weed-choked fountain, and several houses and buildings of various sizes with broken furniture, cracked flooring, and debris everywhere. It’s definitely much more interesting and evocative than someone could draw with a marker. Most of the tiles could fit together to make one large village, with the exception being the two broken bridge spans crossing a river. 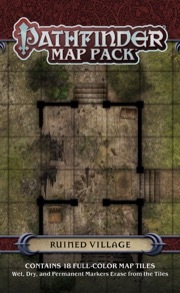 I can envision a lot of uses for this Map Pack: a campsite the PCs come across just at sunset, an old hermit’s hut, a bandit hideout, a ghost-infested ruin, or even just an ordinary village that has fallen on (really) hard times. Its versatility and design quality makes it a solid product worth purchasing. Announced for June 2017! Image and description are not final. I have been waiting for something like this for a long time, now if you could only do castle wall sections! 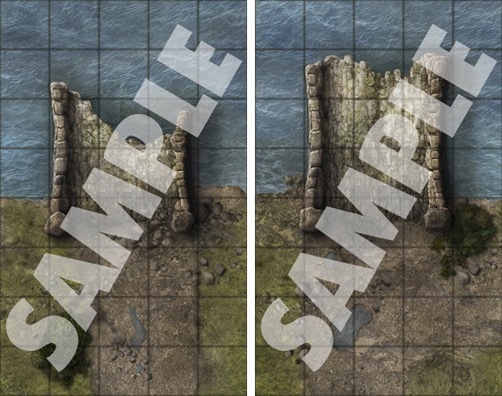 This doesn´t (yet) show up in the "map packs" section under "preorders". Excellent, been waiting a long time for a modular village, ruined or otherwise. now if you could only do castle wall sections! I've just noticed you updated the cover of both ruined village and bigger cavern but no samples? The cover image looks great. But it's impossible to say from one picture if this is super-useful or just okay. Wow, the buildings all look wonderful, as does the bridge - useful for "Ironfang Invasion" & other APs. While the graveyard (no digged-up graves or crumbled stones) & abandoned fountain could be more inspiring, this certainly warrants a buy! Just so you know the correct past tense of dig is dug. so it should have been dug up not digged up. I seem to remember you are not someone who speaks English as a first language, which is the only reason I am actually pointing this out. I always enjoy seeing what the new Map Packs have for us. Thx Graywulfe, you're right of course. This looks great. But I thought we were moving toward a square format. Did that change? They are. This map pack is from last year.